On our website you will also find beautiful homes in the Totana area. From cozy Spanish farm homes to luxury villas and lots. The residences in and around this region full of nature have lot sizes of at least 2,500 m2. We will assist you in looking for your dream house or a low-cost restoration option in this region. Besides existing homes we have many lots on offer on which you can build your own home. With years of experience and knowledge we are able to assist you in developing your own home with the help of local professional architects and construction companies. Totana is a typical Spanish village where you can taste the Spanish culture to the fullest. 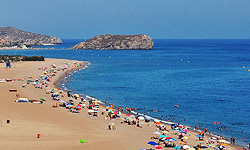 Totana lies at the start of the Sierra Espuña national park and is located only 30 minutes from the Costa Calida coast. The village is well known for its pleasant feel where you can still experience Spanish traditional parties. On Wednesdays you can go visit the big market and smell or even taste Totana through the regional products offered. And if you just want to relax you can wander through the charming shopping streets or visit the restaurants and bars for delightful Spanish tapas and a cold drink. Sierra Espuña is a large national park where you can enjoy the fresh air and nature. You can visit various caves, water sources or explore the flora and fauna. 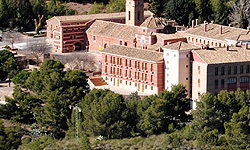 The Tourist Promotion Office in the monastery of La Santa has maps with the available routes leading through the Sierra Espuña. 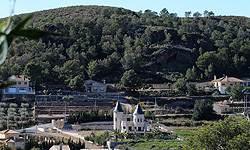 In Totanas surroundings you will find many different Spanish villages and cities worth the visit. Strategically placed in the valley of Guadelentín you will find the village of Aledo. Rich in its ceramic and pottery traditions. You can still experience the old arts and the use of natural resources. 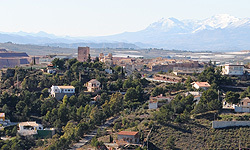 Another mentionable place is the town of Lorca. It lies between the Mediterranean Sea and the Baetic mountains. This vast area is about 1,675 km2 in size and has 39 deputations comprising a large part of the south west of the autonomous region Murcia bordering Andalusia. 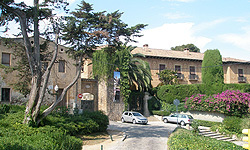 Besides Lorcas size it has a rich history with notable historical buildings and monuments and in the town centre you will find lively shopping streets and a large commercial shopping center.